English accent training and accent reduction lessons complete your English training. How is your English accent? Your pronunciation? If you are Dutch, the classic pronunciation error is replacing the TH sound with a T or D. If you are Asian, the problem may be R and L. Such mistakes affect other’s ability to understand you, and can also make it hard for you to learn to be a good listener and to spell correctly. We believe that English accent training (accent reduction)​ is one of the most important aspects of your English training. Accurate pronunciation supports everyday communication. It makes you a better listener and it allows others to understand what you are saying without the irritation of asking you to repeat yourself. Would you like some tips for English Accent Reduction and Pronunciation training? Do more listening and less reading. Use our Video Library Program, TV, Netflix, podcasts, eBooks, whatever you like, but you have to train your ear! Accept the fact that letters and words may sound very different than you have imagined or learned. Let your teacher advise you. Prepare to change your habits, because pronunciation, good or bad, is a habit. Slow down and discover your mouth, lips, teeth and tongue. Discover the the feeling of the sound and practice it. What accent do you prefer? British or American? 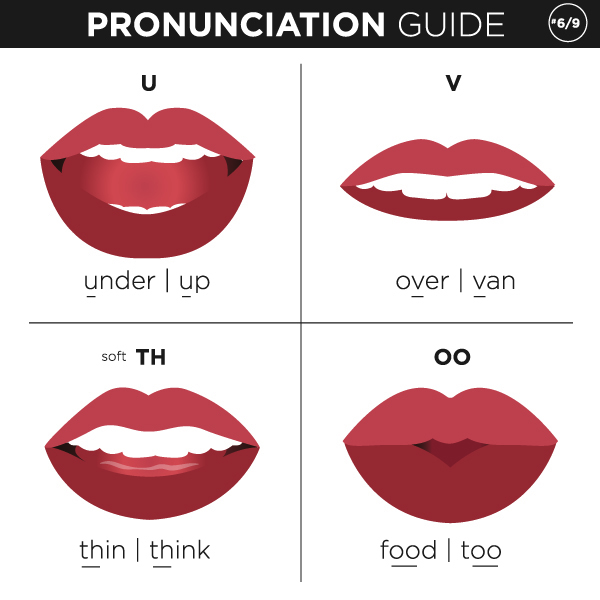 How can I improve my English pronunciation in class and at home? In class, you will get specific training for how to speak English correctly. And to extend your training hours, ask us about our interactive Learn English app. Changing pronunciation habits requires a lot of listening and supervised practice. Pronunciation support is included in all lessons and can also be chosen as a focus. Choose to work with an English trainer from the US or the UK. Contact us to learn more. Max. participants 1. Private course.